Today, project managers in customer projects often struggle to orchestrate all the activities and workflows that arise in a dynamic, constantly changing project context. Very often e-mails and Excel sheets are used to manage issues, risks, and corresponding actions items. Typically, the status of the action items is updated during regular status meetings. Since all the information is very fragmented it is not uncommon that important activities are missed. Project team members often do not have all the information that is required to complete their activities. With the Commercial Project Management functionality within SAP S/4HANA, these challenges are a thing of the past. In release 1809 of SAP S/4HANA, a new Fiori app “Project Activities” is available. This app manages activities related to risks, issues, change requests, and checklists. The app basically addresses two use cases: On the one hand, the project manager uses the app to monitor all the activities in his/her projects. On the other hand, the project team members use the app to get an overview of their assigned activities and to update these activities. In Project Risk Management the activities are typically defined as part of risk response planning. If there is a risk of a project delay for example, there might be an activity to evaluate different acceleration options. In Issue Management it is necessary to perform certain activities to resolve the issue. With Commercial Project Management, it is possible to standardize how issues are processed. It is possible for example to assign activity templates to particular issue types. For more dynamic use cases it is also possible to control the creation of activities via business rules leveraging the Business Rules Framework Plus. Of course, a project manager can also manually add activities to an issue. Activity handling in Change Management is analogous to the one in Issue Management. Typical activities include cost planning as well as – potentially multi-level – approval steps. Checklist activities are assigned to certain elements of the project structure. Often checklist activities are automatically created based on the project type. The system also leaves the flexibility to the user to manually add checklist items from a pre-defined catalog or even to manually add new checklist activities to a specific project. The “Project Activities” app can run on a smartphone, a tablet, or on the desktop. Based on flexible filter criteria, the user can easily configure which activities are selected. The screenshot above shows the app where multiple activities across different projects have been selected. By default, the list is sorted by “Planned Completion Date” so that overdue activities appear along the top. The list provides a unified view regardless of whether the activity is related to a risk, issue, change request, or a checklist. From here the user can easily navigate to a specific activity. 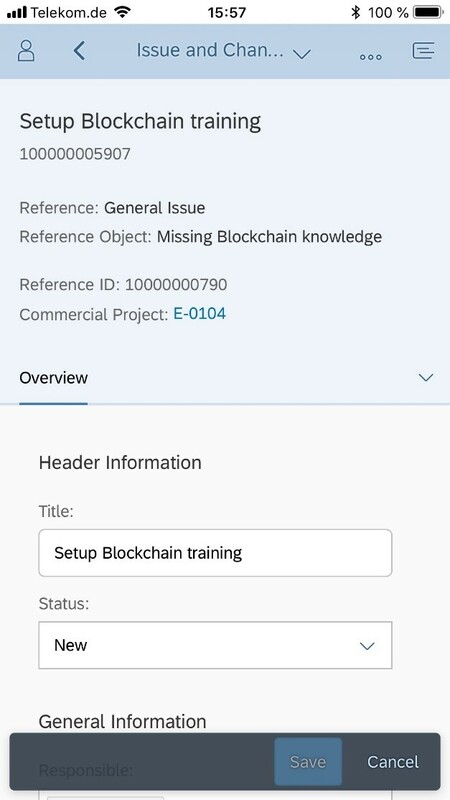 Via the field “Reference ID” the user can go directly to the respective reference object, in this example the Missing Blockchain knowledge issue. Here the user can now change the status of the issue or add more activities. On the activity screen the user can review and modify data such as the title, status, the employee responsible, as well as different dates. Moreover, there is the possibility to add textual information. In case of a more complex activity, multiple team members can be added in different roles. Attachments (or URLs) can also be added. The business use cases for the app are limitless. It can be used to streamline processes within a project team and to facilitate the communication between front-office and back-office, e.g. when the project manager requests a change of the billing plan to the project billing owner. Compared to stand-alone tools, the huge advantage of the app is seamless integration with the commercial project management processes. On the one hand, the solution allows companies to standardize their processes with respect to risk or issue management. On the other hand, there is full flexibility to cope with specific project requirements. A project manager can trigger ad-hoc workflows or create additional activities whenever needed. The “Project Activities” app is one aspect of Commercial Project Management functionality. 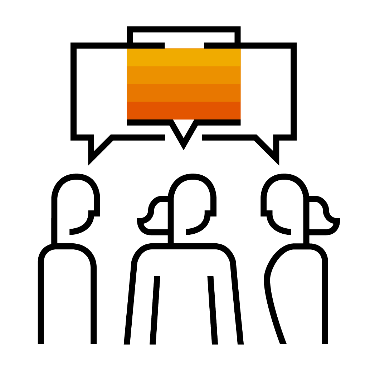 The overarching concept is to represent the latest project status in a single digital core system, SAP S/4HANA. This helps to make project success more predictable and repeatable. Here, the functionality for planning and forecasting of costs and revenues plays a significant role. With the “Project Activities” app we have further expanded the functionality to support the project manager and the project team members in their daily activities. The app enables them to be more productive and to deliver the project according to the respective company standards. Finally, this leads to increased project success. To find out more about Commercial Project Management in SAP S/4HANA, watch this detailed demo video. Also, please have a look at the demo of the “Project Activities” app under this link.